The Optune Dual Opto-Vibe recalls the classic Univibe®. With a nice sloshy sound. 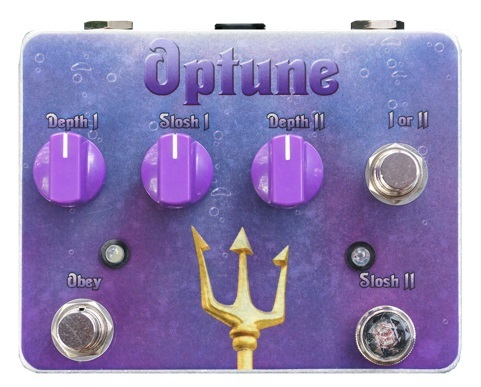 The Optune™ from Tortuga Effects stays true to that classic ‘vibe tone without sucking out your midrange and it’s less than half the size. You can also manipulate one of the two sets of ‘Slosh’ (rate) controls by hovering your foot above its magic optical sensor. •2nd Rate is controlled by an optical sensor.